It’s a double news day for Pebble, the smartwatch darling that now boasts a presence on more than 300,000 wrists. The new Pebble Steel model, launched earlier this month at the Consumer Electronics Show, is now shipping to customers. 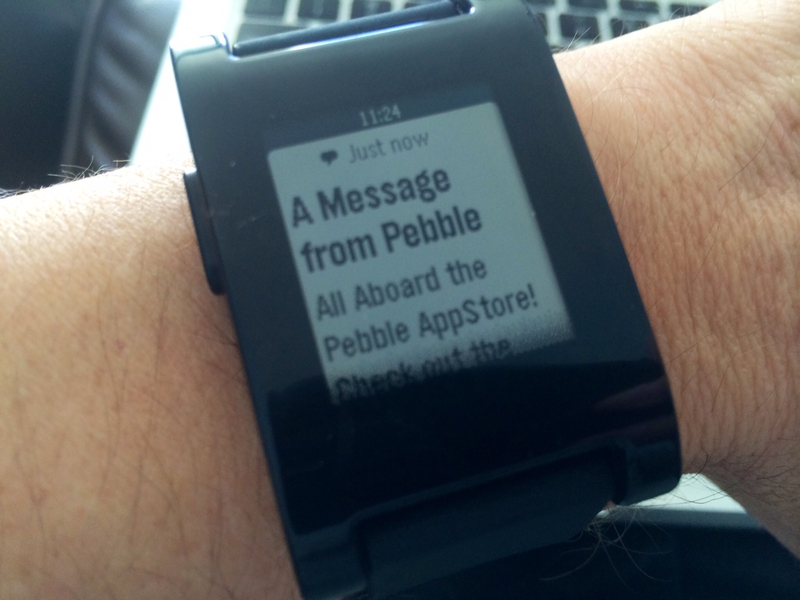 And the Pebble appstore is nearly ready. In fact, I got an early glimpse of the store and had a chance to install some of the new partner apps announced at CES. To use the appstore, my Pebble first needed an update to the Pebble 2.0 software. The process worked flawlessly with my iPhone(s aapl) pushing the firmware to my Pebble review unit over Bluetooth.